The benefit of a relatively chalky first two rounds of the NCAA tournament: The Sweet 16 field is loaded. There are several star-studded matchups to look forward to. Let's preview and pick all of them. LSU probably has the talent edge here. Tremont Waters, Naz Reid and Javonte Smart are all awesome. The Tigers have only lost three times since Dec. 13 and have beaten some juggernauts along the way. But this could be a game where Will Wade's absence will matter, because LSU is going up against one of the best coaches in the game in Tom Izzo. Cassius Winston is one of the top point guards in the nation, and while the Spartans run the risk of becoming one-dimensional at times, that one dimension is pretty darn dangerous. Winston's usage rate is higher than ever, but he's one of the best decision makers in the game. Michigan State consistently takes great shots for that reason. Nick Ward's return also helps here. He's a walking bucket in the post. It's really hard to pick against the Spartans right now. America is finally realizing how good of a player Coby White is, and he's just one of the reasons to love North Carolina right now. 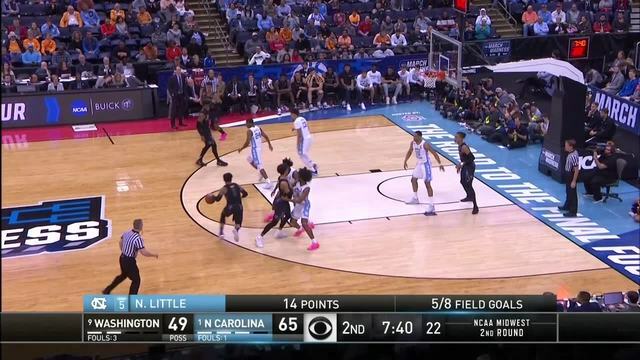 Nassir Little is another. The uber-talented freshman is averaging 19.5 points per game in the NCAA tournament and is overqualified for his current sixth man role. Luke Maye, Cam Johnson and Kenny Williams are all quality veterans with big game experience. Auburn had an impressive showing against Kansas, but the Tigers don't match up well with the Heels. White and Williams should be able to stick the Tigers' high-flying backcourt, and take care of the ball on the other end. Auburn leads the country in defensive turnover rate, but North Carolina isn't easily flustered. It's seen plenty of good defenses in the ACC. Break those traps, and the Tigers are vulnerable. Give us the Heels by a comfortable margin. UCF may have come up just short against Duke, but head coach Johnny Dawkins had a heck of a game. And he provided the blueprint for slowing down the Blue Devils. It's a simple, but effective concept: just ignore Duke's non-shooters. Make them play four (or three) on five. The Knights put Tacko Fall on Tre Jones (kind of), and Fall just camped out by the basket for the whole second half, daring Jones to shoot. UCF gave Jordan Goldwire the same treatment. It worked. Zion Williamson and R.J. Barrett still had big games because, you know, they're Zion Williamson and R.J. Barrett. But it mucked up driving lanes and made their lives far more difficult. Mike Krzyzewski doubled down on the Zion-R.J. drive-to-the-bucket-anyway plan and it worked. Virginia Tech should use the same strategy, but there's a key difference: the Hokies can shoot the lights out from 3-point range and have more overall firepower than UCF. Tech makes almost 40 percent of its 3s, and shoots a lot of them. Buzz Williams is an excellent coach, and the Hokies already beat Duke this year, even if Williamson was sidelined. Let's get a little crazy here. P.J. Washington's status is so key here. In fact, it's probably the difference between choosing Kentucky or Houston. Kentucky is great with Washington. It's good without him, but is 'good' enough to beat Houston right now? Corey Davis and Armoni Brooks form a lethal backcourt duo, and the Cougars' defense is a chore to play against. Opponents shoot a Division I-worst 27.8 percent from 3-point range against Houston. Besides being an all-around great player, that's why Washington would be so valuable in this game. 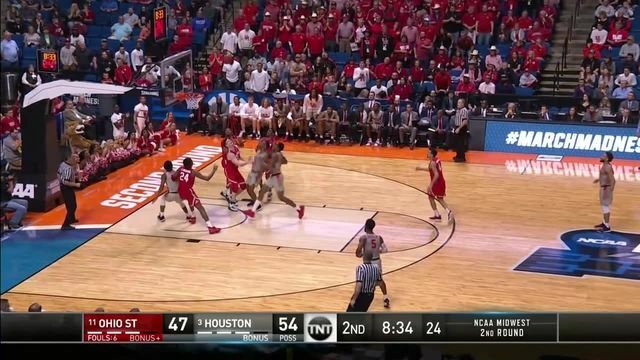 Houston is an elite perimeter defensive team, but it's exploitable inside. Reid Travis is a nice player, but he's not the full-blown star Washington is. He didn't practice Wednesday and seems unlikely to play. Sure, it's just one guy, but one guy can make a huge difference when the talent is as comparable as it is between these two teams at full strength. This is an incredible matchup. Florida State is playing better than the 4 seed it is right now, and Gonzaga breezed through its first two tournament games. It seems like every Seminole player is an upperclassman with supreme strength and length. And there are just so many of them. Florida State may not have a superstar, but it has eight legitimately good players. It can afford an off night from a few key contributors. Gonzaga doesn't have that much depth, but its starting five is elite. Brandon Clarke is arguably the second best player in the country; that's an unconventional take, but the dude is ridiculous. He's averaging 24.5 points, 12.1 rebounds and 4.4 blocks per 40 minutes on 70(!) percent shooting. Clarke's spin move might be college basketball's hardest to guard. Look for the Zags to challenge Christ Koumadje early and often, despite his shot-blocking prowess. If they get him in foul trouble, they'll have an advantage. At the end of the day, Gonzaga has the two best players on the floor, and that could matter just a bit more than the Seminoles' pristine depth. Tennessee is an excellent team, but the Vols have been playing with fire all season. Their latest high-wire act against Iowa was yet another example. And Purdue has simply been rolling lately. Surrounding Carsen Edwards with shooting is devastating for opposing defenses; the Boilermakers rank fifth in offense, per KenPom, and just waxed Villanova. Purdue may not have a ton of interior scoring, but Matt Haarms will be valuable in a matchup featuring Grant Williams and Admiral Schofield on the other end. Tennessee has gotten into a bit of "your turn, my turn" offense with those two lately, and if it wants to beat Purdue, it can't afford an off game from either. The Boilermakers are more trustworthy right now. This one could easily go either way, but Purdue has been consistently great ever since the start of 2019. Defense, defense and more defense. These are the two best defenses in the country. First to 60 may win. But there's still plenty of offensive talent here. Jarrett Culver is a top five player in the country, and Michigan's Charles Matthews-Ignas Brazdeikis wing duo is scary and versatile. These teams are eerily similar; this is essentially a coin flip. But it's easier to trust Michigan in the NCAA tournament based on what it did last year, and how it's looked through the first two games. Look for John Beilein to make someone other than Culver beat the Wolverines. It's one thing to say that, by the way, but another to execute it. Michigan is the rare unit equipped to execute it. And if Chris Beard takes away a key Michigan piece, it has other options. Who do the Red Raiders turn to if Culver is being hounded? The Wolverines' depth and experience is just a tad more reliable. Oregon is on fire, Payton Pritchard is a stud, and Kenny Wooten looks like Jordan Bell 2.0. There are plenty of reasons to like the Ducks. But when was the last time they faced a team as formidable as Virginia? Wisconsin is probably the best team Oregon has played this year, and while the Ducks handled the Badgers easily, the Hoos are a different beast. Ty Jerome and Kyle Guy look like themselves after a tough first half of the first tournament game, and De'Andre Hunter will be the best player on the floor. Oregon can beat Virginia, but the Cavaliers have the best player, the better offense and the better defense. They should be expected to win.